Sectional sofas can work in any space, from small studio apartments to expansive family rooms. 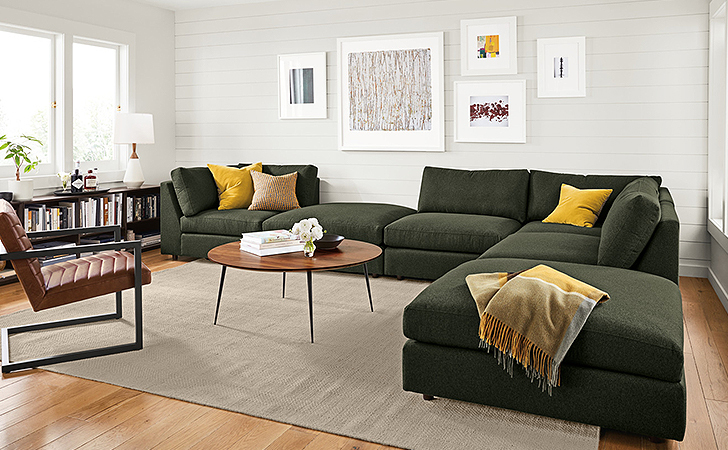 Our wide variety of pieces gives you the freedom to create a sectional that perfectly suits your needs. 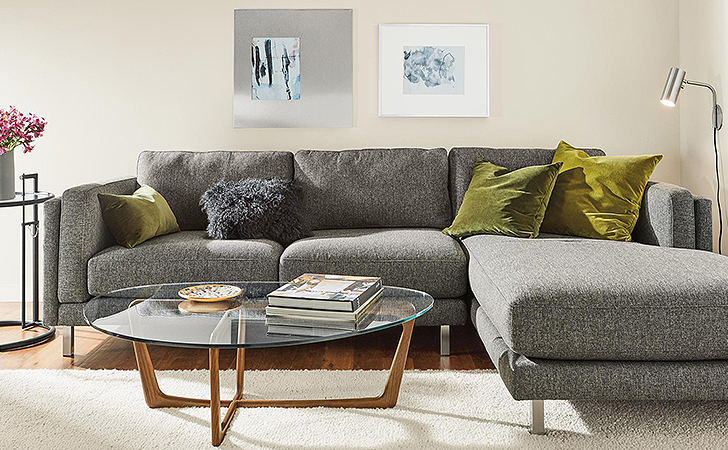 Read on for tips on how to pick your ideal sectional. Our online sectional guides provide exact dimensions for each component and for pre-configured sectionals. To make sure it fits your space, use painter’s tape to mark these measurements on your floor; this will help you quickly map out options that work for your space. Pro tip: Leave 3-4 feet of space for walking around your sectional and about 18 inches from your coffee table or ottoman. A sofa-with-chaise or L-shape configuration is an ideal setup for letting one or two people read, nap or just relax. This cozy configuration defines a dedicated conversation area while still leaving room for a coffee table in the center. Another tip: Sectional names are based on how you look at them. For example, the sectional shown below is the Cade sofa with right-arm chaise. 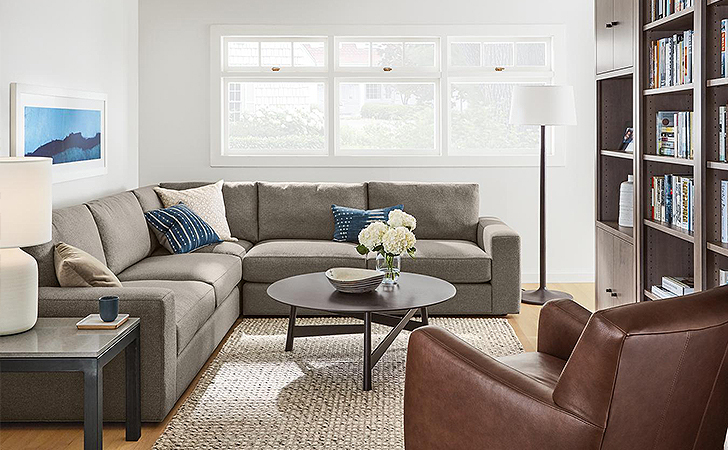 For more seating, armless sofas and chairs, corners and chaises let you build a sectional that maximizes seating and accommodates a room’s traffic patterns. Add ottomans for additional seating, or to act as a footrest or coffee table. Our online sectional designer lets you drag and drop pieces to create your ideal sectional. Plus, our expert Design Associates are always on hand to offer free advice, whether you need help with space planning, fabric selection or anything else. They’ll help you get the answers you need to make decisions you can feel good about.